What do you do between your acceptance letter and the first day of class? It’s absolutely possible to balance your MBA with real life if you plan and communicate. Everyone has a personal story, you may just need help figuring out how to make it shine. 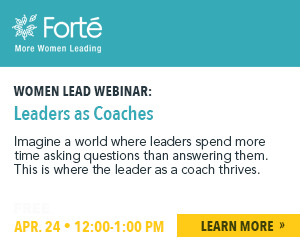 The business landscape for women still requires vigilance, and Forté is ready with some fresh focus areas. This Finance Conference will have at least one section that will help your career grow. A well-thought-out negotiation makes you look like a stronger candidate—and employee. Crystal Hardie Langston has held a variety of roles at Vanguard, but one thing they have in common is her commitment to serve others.